Car leasing vs buying, which is better? Car leasing is becoming increasingly popular in the UK. We take a look at the reasons why, and how it works. Car leasing used to be relatively unheard of in the UK, despite its huge popularity in the US, where one in four cars are owned through personal leasing. However, it is becoming increasingly popular, as the ‘direct debit generation’ have become used to paying for things such as phone bills, gym memberships and insurance on a month-by-month basis. With new car sales rocketing this year, and the buyer’s change cycle becoming much shorter, lots of people are considering leasing as a good way to get and stay in a new car for less. But is car leasing really the best way to finance your vehicle? Car leasing, also known as Personal Contract Hire, is essentially where you rent a car for a few years at a fixed price, and hand it back to the leaser at the end. Personal Contract Hire (PCH) provides you with hassle-free motoring without the depreciation risks associated with traditional ownership. PCH is an alternative to PCP or HP, which incorporate the depreciation of the car, or the cost of the car in total. This is because with PCP or HP, you will own the car at the end of the term of payments, whereas with PCH, you simply hand the car back. People are divided on this one. And it’s entirely up to your personal circumstances and preference, although mostly it’s preference. For those of you who like to drive a new car and keep up with the latest models, leasing is probably more appealing to you, as you can change your car more frequently, and monthly payments are affordable. However, if you like your car to feel like ‘yours’, and are happy to keep it for a longer period between changes, buying is probably the best option for you. Let’s take a look at the pros and cons of each option, side by side. The pros and cons list looks fairly equal, as there are benefits and drawbacks to both options. From a purely financial point of view however, How Stuff Works conducted an interesting study into the comparison of buying versus leasing a car. They found that over a short-term period of three years (the typical length of a lease), leasing was overall the cheapest option. However, spread over ten years, buying was significantly cheaper, as you reap the benefits of ownership over a more prolonged length of time. If you have a good credit score, you have more bargaining power. You should be able to get a better rate if you have demonstrated your ability to use your money wisely. Before you start shopping around for lease deals, check your credit, and make sure you fix any mistakes first. If you have a bad credit score, the good news is that leasers are more likely to approve you than finance providers. This means that leasing might be your best option to get a car without paying upfront to buy. In fact, lease approval rates are often at 70% and higher, so your chances are pretty high of getting accepted. 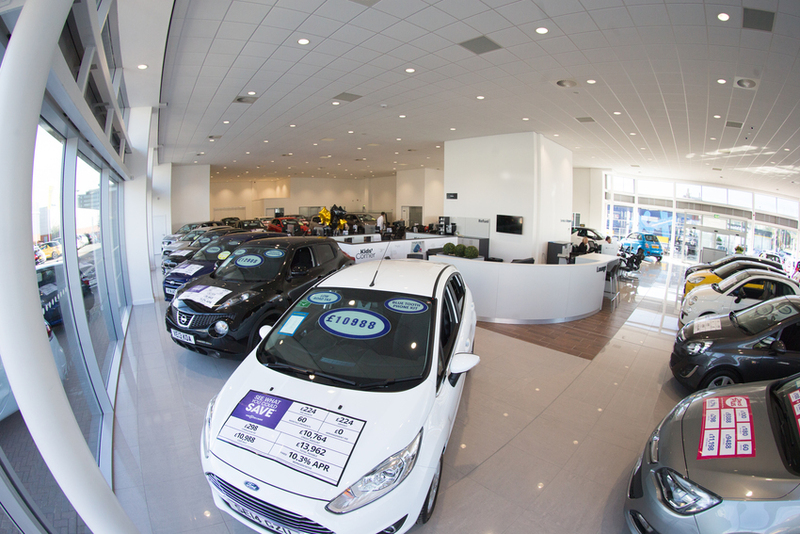 Lots of people get caught out when they go to turn their vehicle in at the end of the lease agreement, only to find that they need to pay upfront for any damage or wear and tear. While this may sound obvious, many people forget, or aren’t aware of it, and don’t budget enough to cover these costs at the end of the contract. Another cost that can catch people out is mileage costs. Many lease deals have a maximum mileage limit, which, when exceeded can bring hefty charges with it. Expect anything from 3–13p per mile. Arnold Clark includes VAT in lease prices, but many leasers don’t, so watch out for that when you are considering your monthly payments. As outlined here, there’s no clear-cut rule as to which option is best, as there are benefits and drawbacks to both leasing and buying. Most of the choice is down to your personal preference. However, generally speaking, if a car has a high depreciation value, then you’d be better off leasing, whereas if a car has a low depreciation value, you’d be better buying and reaping the benefits later when you come to sell it.